OK, so now you’ve learned about the harmful effects of synthetic cosmetics, and you wish to switch to natural, organic cosmetics. And the € signs start flying around your head, thinking just how can you afford to completely change your skin care, hair care, body hair and make up from conventional synthetic products to natural organic ones. It would be a challenge for a wallet at any time, it is even more challenging in these trying, difficult times. Don’t panic! Take it one step at the time. You don’t have to run to the nearest eco store, and buy everything right away. I found myself in the same predicament years ago, when I learned about the synthetic vs organic skin care and make up. I had to make a plan which products are more and most important, and then take it from there. 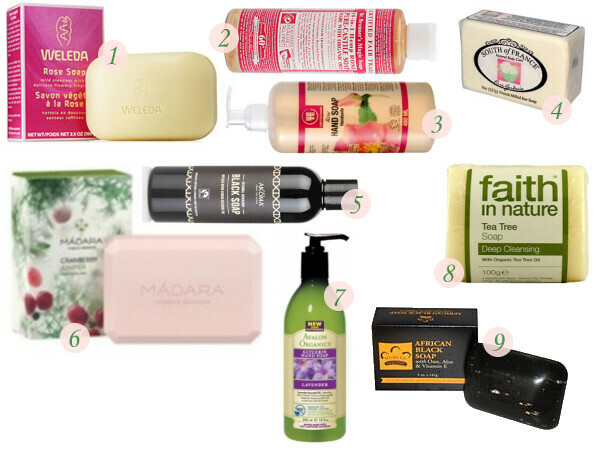 In a matter of 5 or so months, I had a satisfactory bathroom shelf of new, organic products. Of course, as it’s a habit with us, ladies (and maybe some gentlemen as well? ), there’s just never enough cosmetic products. There’s always that moisturizer that’s imperatively missing, that gorgeous lip gloss, that eye shadow we’ve been, heheh, eying for months. But, as with all things in life, we need to sometimes pace ourselves. Especially with organic, natural products, since they, despite having a good amount of natural preservatives, do not have harmful synthetic preservatives that conventional products do. 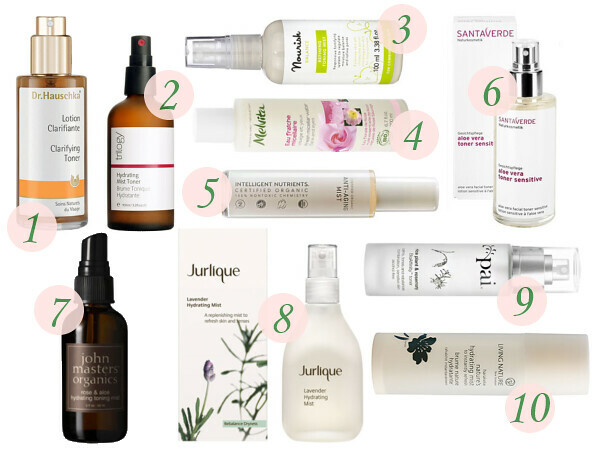 So, when you switch to natural organic cosmetics, you will find yourself not buying as many products as you used to, because you will know their shelf life is shorter than that of conventional products. 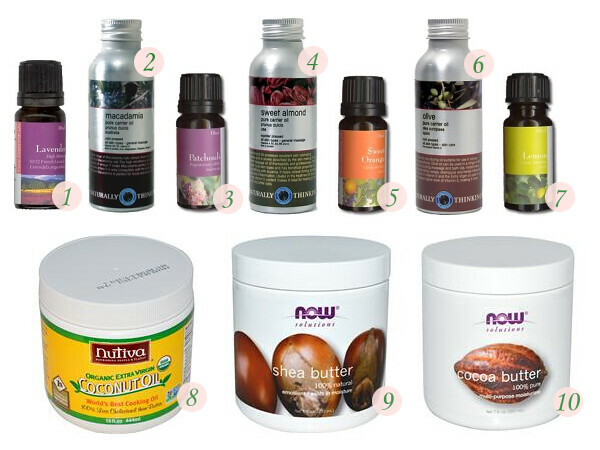 You will also find yourself using less when it comes to natural organic products, as they tend to be more concentrated. Natural organic products also do not generally contain comedogenic ingredients. The best way to go about it is to think of the products you use the most and to think of the products that you wear for the longest. The longer you have a product on your skin, for example, the more important it is to avoid harmful synthetic products, as they have more time to be absorbed into the skin. Or eaten, as it is the case with lipstick, lipgloss, lip balm etc. 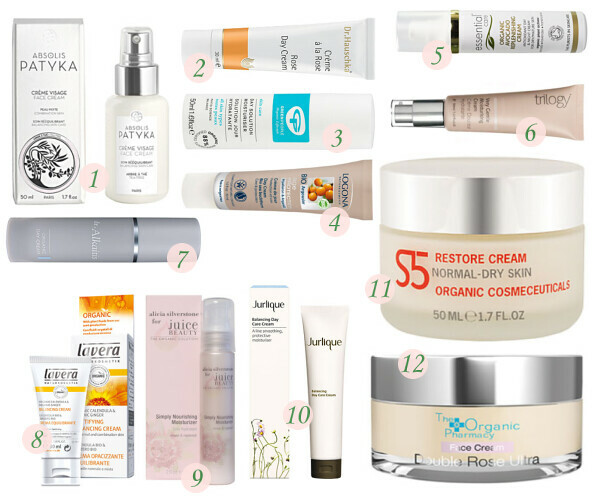 Here are a few advices based on what I’ve learned along the way when I switched from conventional synthetic cosmetic products to natural organic cosmetic products along collages of many natural organic cosmetic products that may be of your interest. The natural organic cosmetic industry is truly offering us so much to choose from, and considering more and more people are switching from synthetic cosmetics to natural organic cosmetic daily, and never looking back, the innovation of new natural organic cosmetic products is nothing short of amazing. I swear by a facial toner/hydrolate. Not only does a facial toner/hydrolate clean the remaining dirt on the face (and neck! ), it also refreshes the skin and works nicely before applying a moisturizer: skin absorbs a moisturizer quicker and application is smoother. So I’d recommend you switch from a synthetic toner to a natural organic hydrolate. Depending on your skin, you can use a Rose hydrolate for all skin types, but especially for those with dry and sensitive skin. Witch Hazel hydrolate and Tea Tree hydrolate are great for oily and acne prone skin, as they serves as anti-bacterial agents. If you need to calm your skin, a Chamomile hydrolate is a great choice. You can also mix hydrolates based on your own preferences. Many natural organic brands offer toners, which, in most cases, contain hydrolates. This one goes almost without saying. With synthetic moisturizer, you get a ton of harmful ingredients, absorbed by your skin, staying there all day and/or all night. For a daily moisturizer, I’d suggest getting a cream (or a serum, if you have dry skin), and if you’re not wearing foundation with SPF, get a moisturizer that has SPF (John Masters organics has a light moisturizer with SPF 30). For nightly treatment of the skin, you can save money by first getting an Olive Oil or Almond Oil, which will serve as a moisturizer as well as make up remover. Almost any carrier oil/vegetable oil and many variations of different carrier oils/vegetable oils will work. This one should prove to be on a nicer side for our wallets, as you can get a natural organic lip balm for as low as, say, 2€. 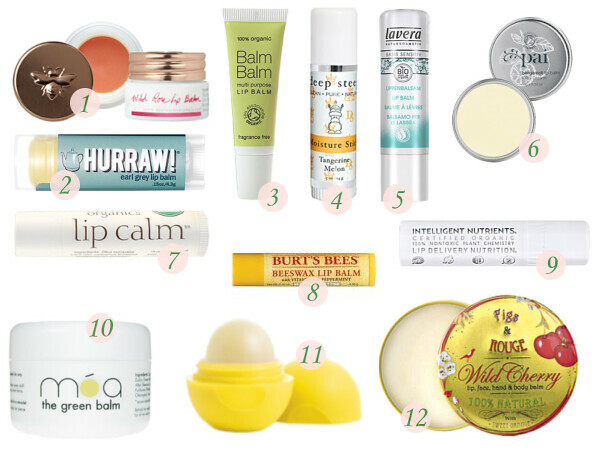 You need to remember we eat the lip balm off of our lips, so imagine how much synthetic ingredients we eat on a daily basis if we don’t use natural organic ones. Another tip. You can also use nearly any carrier oil/vegetable oil you wish (Calendula oil is a great choice, as well as Coconut butter), though you can’t carry it around. You can also use Shea Butter (and many other body butters) you bought as body lotion and you can put a piece of it in a small tin can. Very important. 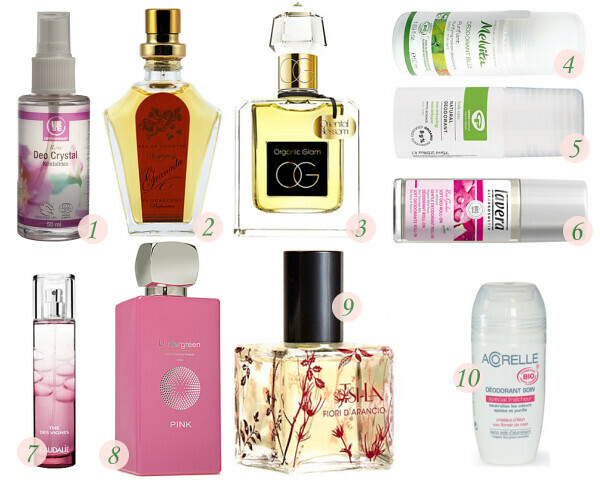 Conventional antiperspirants, by and large, contain a very harmful ingredient aluminum, among many others. The skin under arms is very delicate and sensitive, and the toxic ingredients are quickly absorbed into our blood system. It’s no coincidence that using conventional deodorants and antiperspirants containing harmful aluminum, may very well cause breast cancer. You can get a natural organic deodorant for around 6- 8€ and it will last you at least 3 months. That’s about 2€ a month for a healthy choice of a product we can hardly go by without. You can also make your own roll-on perfume: mix a few carrier oils with a few essential oils, and you have your own signature roll-on perfume. As you can see, natural products/ingredients are very versatile and can be used for more than just one thing. While the soap is washed away (and synthetic soap is not only harmful for you, it’s also harmful for environment, as it enters through the drain and into our water system and soil), conventional soap contains harmful sulfates. You can get a natural organic soap with pretty affordable prices, especially those in bigger packages, but for the time being, you can freely use regular sized soap, which you can get for as low as 3€. There’s a myriad of natural organic soaps to chose, for different types of skins and different smells, which are all based on essential oils. If you’re used to using 1L of conventional shampoo for 3€, this one might be a little bit more on an expensive side. For starters, you can use a soap you use for body and hands; Black Soap is a good choice. 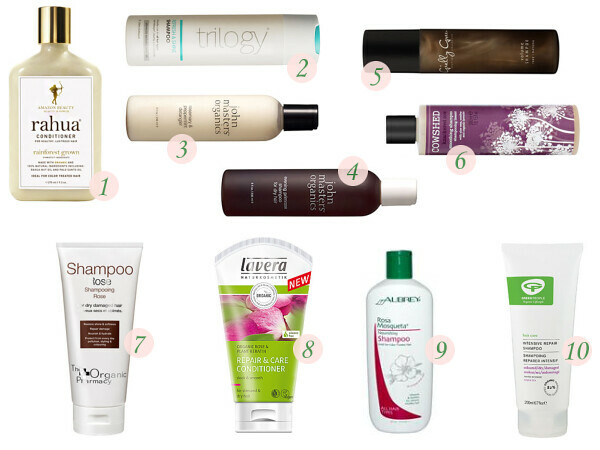 While conventional synthetic shampoos might be, in general, cheap, they contain a lot of harmful ingredients. The same as with soap, they contain sulfates, which are, as said, harmful. You may immediately rinse the shampoo, but toxic ingredients still penetrated the skin. Think of intimate hygiene products in the same way as food you put into your body. 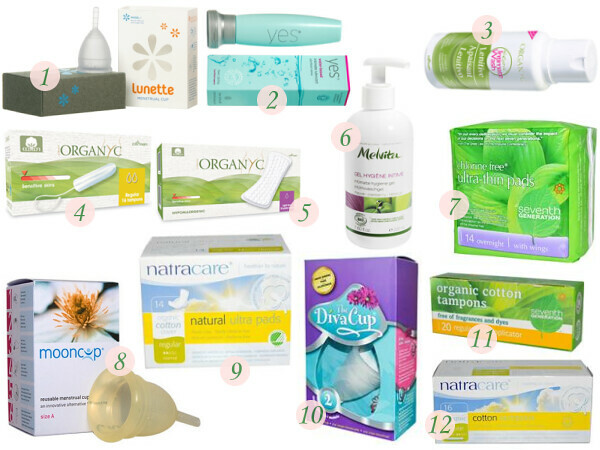 We may be careful when buying food that is organic, but are we in the same line of careful thought when buying intimate hygiene products, such as pads and especially – tampons? Conventional tampons are made of non-organic cotton (think of loads of pesticides, for a start) and then bleached with chemicals. It doesn’t sound healthy, does it? So, the next month, when you run out of tampons, buy organic tampons instead of conventional, toxic ones. Even better than tampons? Consider a medicine grade silicon menstrual cup. You buy one and it’s good for years. While you will still have to have organic tampons handy, a menstrual cup will save you money, will be good for environment (think of all the used tampons and pads, rotting somewhere) and it will be kind to your wallet. 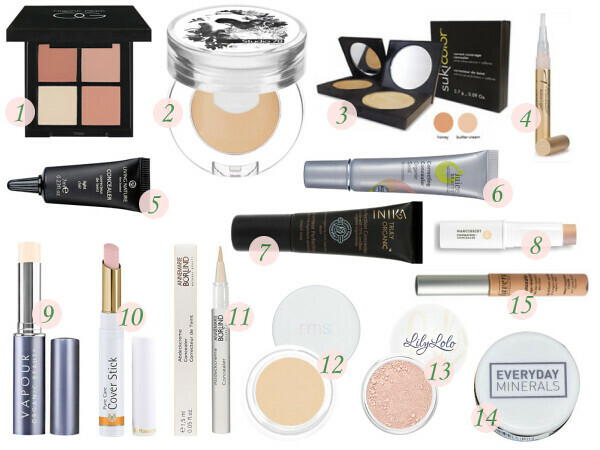 Which are your essential make up products? Yeah, I know, too many to list, hehe. But we’re trying to replace all the conventional synthetic products with natural organic products, one step at the time, right? Foundation is another product that stays on the skin for a good number of hours, which gives harmful synthetic ingredients plenty of time to be absorbed. 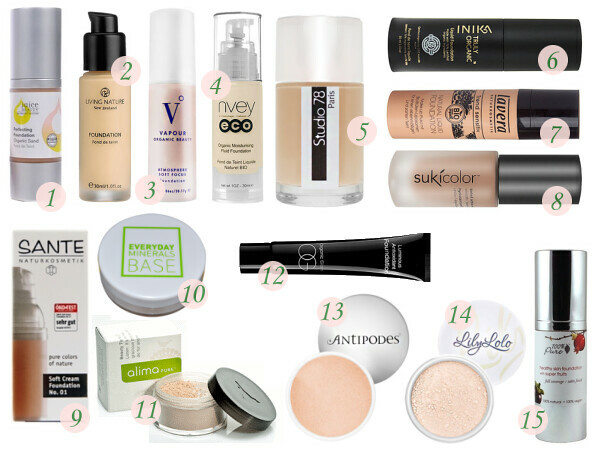 When it comes to natural organic foundations, you will find an array of products to choose from. Tinted moisturizers, cream and liquid foundations, BB creams, CC creams, not to mention a huge selection of mineral make up. You will find a product for any skin tone, skin type and condition. You can get a great mineral foundation for around 15€ and natural organic liquid foundation for 20€. And all will last you a long time. Since even liquid foundations’ colors are based on minerals, you will also get a natural SPF with your make up. Similar to foundation, but for a lighter coverage and light evening the tone of the skin, a tinted moisturizer is a perfect choice. With new generation of tinted moisturizers – BB Creams and CC Creams, you get a complete package which suits your skin’s needs: a moisturizer, an SPF, radiant and glowing complexion, reducing of fine lines and wrinkles, balancing and antioxidant nourishing natural organic product. Excellent for hot summer days, or when you feel going for a lighter natural look. Just like foundation, it stays on the skin for hours. You will find a great selection of natural organic concealers, in all shades and forms: from a cream concealer, to mineral powder concealer. A product that’s applied very near our eyes. 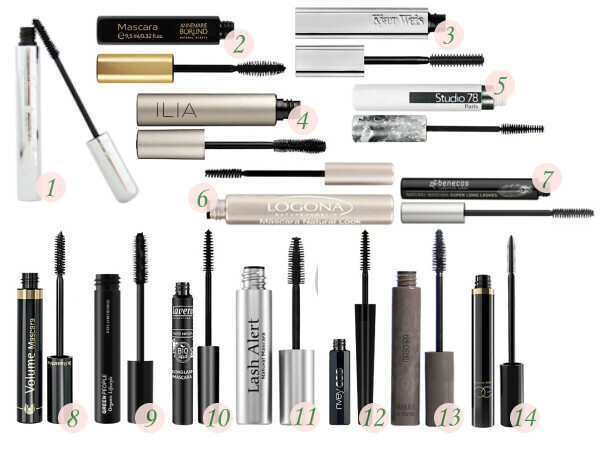 Many women complain of the allergies when using conventional mascaras. While there are cases, when one is allergic to some natural ingredients, by and large, women who use natural organic mascaras say how they are not irritating as compared to synthetic ones. Colors are based on minerals and you can get black, brown, blue, green mascaras. This one presents the same problem as the lip balm, when we use a conventional synthetic one. Natural organic lipsticks offer a great range of colors, based on minerals, and nourish and moisturize our lips as they are made from great natural ingredients, such as Calendula Oil, Shea Butter, Coconut oil/butter, Almond Oil, Vitamin E.
Another product that stays on the skin for long hours and is thus absorbed by the skin. 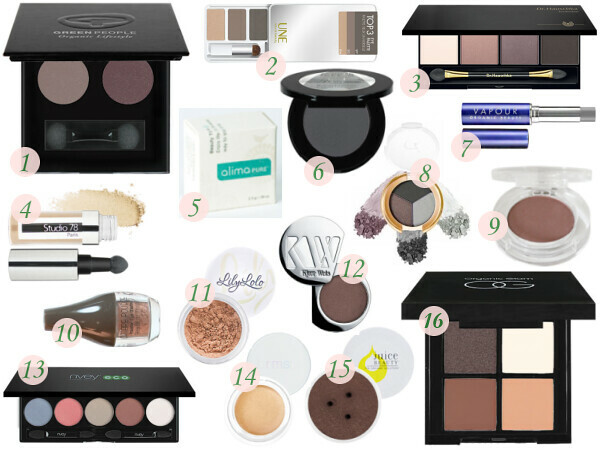 When deciding to switch to natural organic cosmetics, you will find yourself having a huge selection of natural organic eye shadows, mainly in a form of mineral make up. The irritation will cease, and the natural organic eye shadows will last you a long time, as only a little is needed. Most companies (and nearly all of them are small, family owned companies) also offer samples, some of them will also last for quite some time. Oh, and you can freely mix them up yourself, too. You can also use mineral eye shadows as eyeliner – in its dry form or you can wet it with a drop of water and – voila! – you have a natural eyeliner. As if that were not enough, you can use mineral eye shadows for your brows; just make sure you use the right brush. 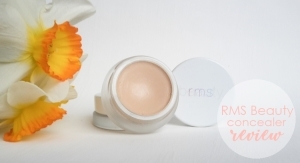 Imagine: synthetic toner, synthetic moisturizer, synthetic foundation and on the top of it all – applied synthetic blush. That’s a truck-load of toxic synthetics on your skin, sitting there and being absorbed into your body in a span of typical 8 – hour work day. 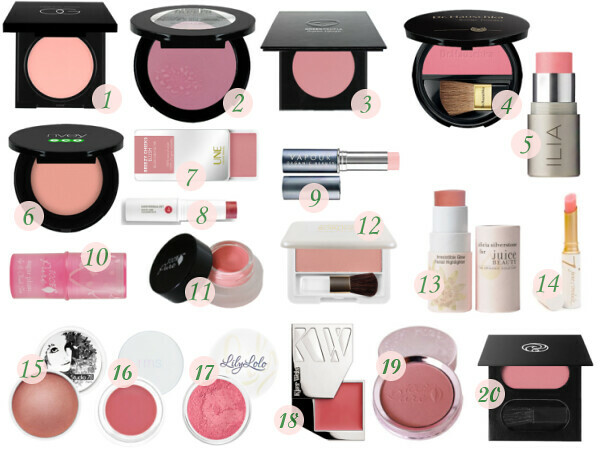 When you run out of your synthetic blush, and decide to switch to natural organic one, you will have a huge selection of blush colors to choose. 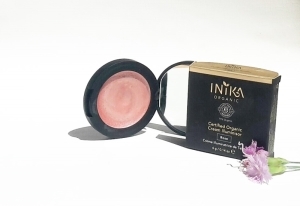 You will find mineral blushes (and believe it or not, some can be used, with organic lip balm, to create your own lipstick: just dab a tiny amount of mineral blush over lip balm – and there you have it!) 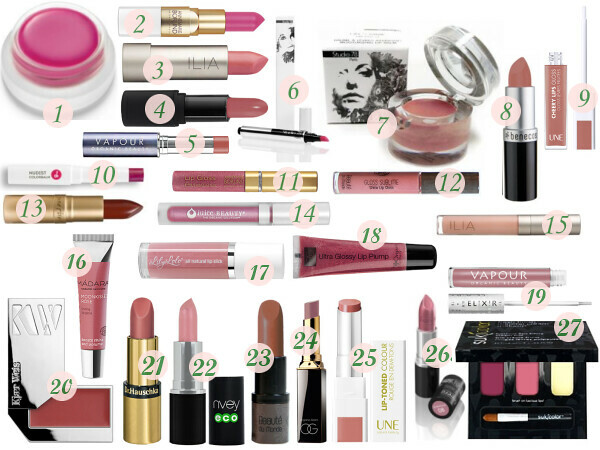 as well as cream blushes that can be used as lipstick as well! So versatile are natural organic products. What if I told you that your nail polish contains formaldehyde? Yes, THAT formaldehyde – a biocide, embalming agent. A known carcinogen. What if I told you that, along formaldehyde, your nail polish contains a toxin and carcinogen called toluene? Don’t believe me? The ingredients in your conventional synthetic nail polish are probably not listed on a bottle, so look up on line which ingredients are in your nail polish. 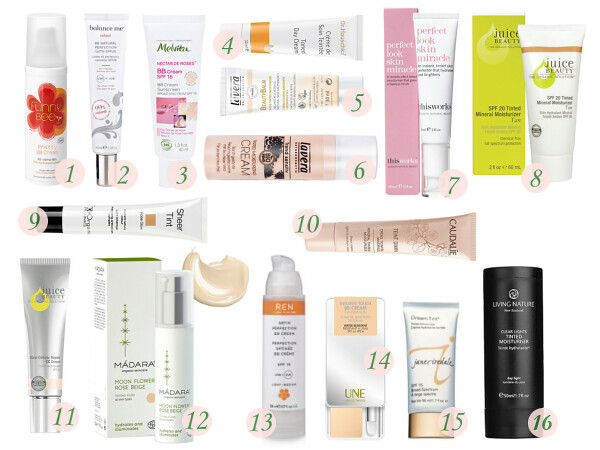 As with all the cosmetic products covered in this guide of how to green up your beauty, a healthy progress in natural organic cosmetics industry is amazing when it comes to nail polish as well. There’s well over 30 brands making healthier nail polishes, and the way conscious and informed buyers are switching from conventional synthetic cosmetics to natural organic cosmetics, there will be more and more brands creating healthier nail polishes, with even more colors to choose from. What do you think about the antipodes skin products? I have quite acne prone, combination skin. Or do you think the juice beauty ones are better? I live in sweden and we dont have these products to try anywhere. Hopefully the article might be helpful.